Classes are focus on topics of interest based on community surveys and your input. 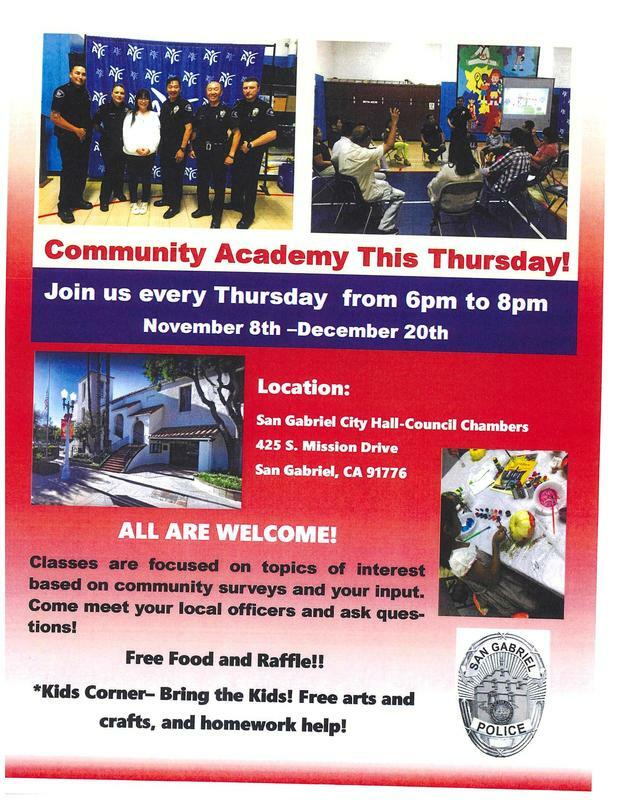 Come meet your local officers and ask questions. Kids Corner - bring the kids! Free arts and crafts, and homework help.